Body in Balance Yoga and Pilates, LLC is located in Williston Park, NY, providing classes primarily Pilates Reformer & Yoga. Both Yoga and Pilates combine a mind-body connection which redefines the body... improving posture, flexibility, joint mobility, balance and strength. 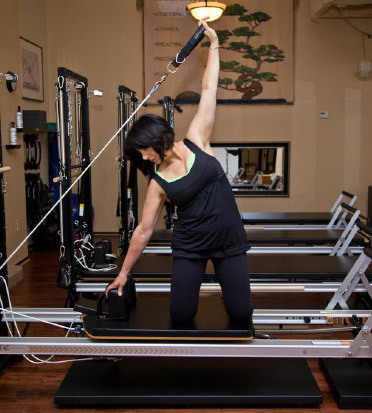 As former co-owner of Body in Balance Yoga and Pilates LLC., Body in Balance Wellness is offering the same therapeutic approach to fitness & wellness through Pilates Reformer, Stability Chair, Private, Duet, Yoga and Therapy Ball sessions. Body in Balance Wellness specializes in Yoga Tune Up® & The Roll Model Method® for myofascial with release including unique exercises. Everyone is welcome and encouraged regardless of level or ability. Whether you are new or trained, Body in Balance Wellness offers classes in a tranquil and non competitive environment.